Just in time for Christmas! Right now, you can purchase a One-Year Membership to The Magic School Bus Science Club. 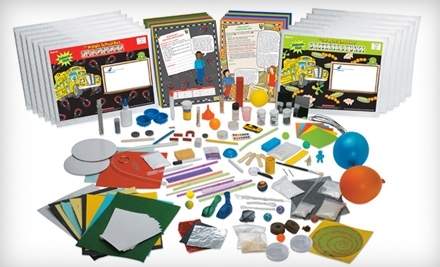 With this membership, a child receives educational science kits every month that contain numerous hands-on experiments. Fun challenges include making a submarine dive, creating a volcanic eruption and recreating fossils! The membership usually runs for $239.88, but with the Groupon, it's only $120. This is a great, great value and perfect for holiday gift giving. Hurry, get this deal before it's gone!